Do you hate draping and wrapping but do you wish you could wear one of those elegantly tied scarves? 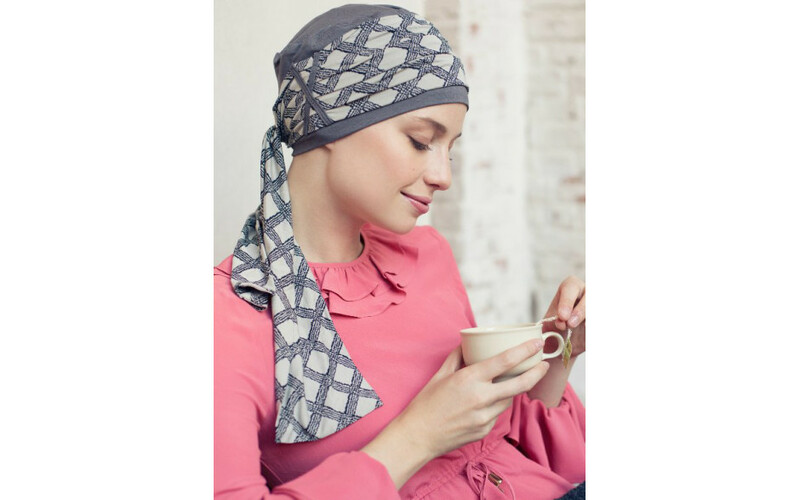 This unique chemo headscarf with its graceful grey and beige Crystal print delivers the goods and more. Slip it on like a hat, tie the ends once in the nape of your neck and that’s all there is to it.